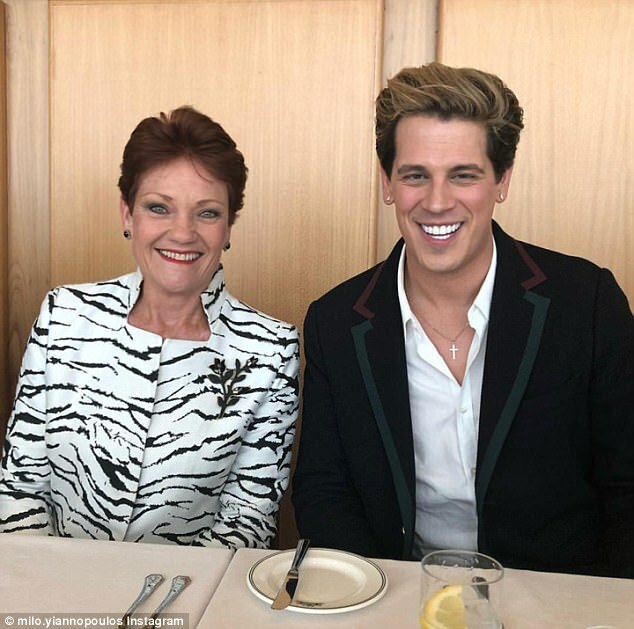 Pauline Hanson, a prominent hijab-wearing Muslim psychologist and a left-wing comedian packed into a Parliament House room to hear Milo Yiannopoulos denounce Islam. 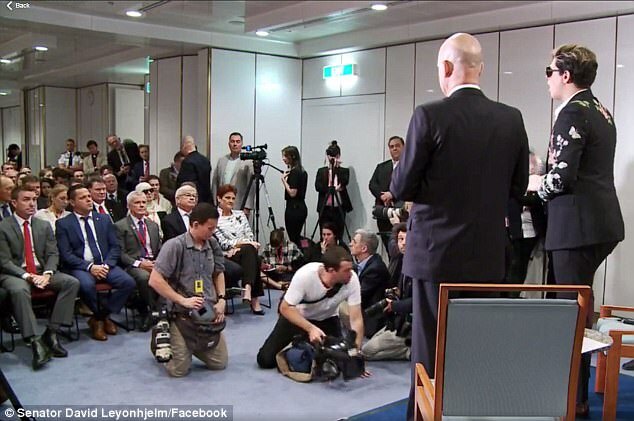 They were among 160 people who gathered in the Mural Hall to hear the right-wing firebrand take questions in Canberra as a guest of libertarian Liberal Democrats senator David Leyonhjelm, who was emcee. 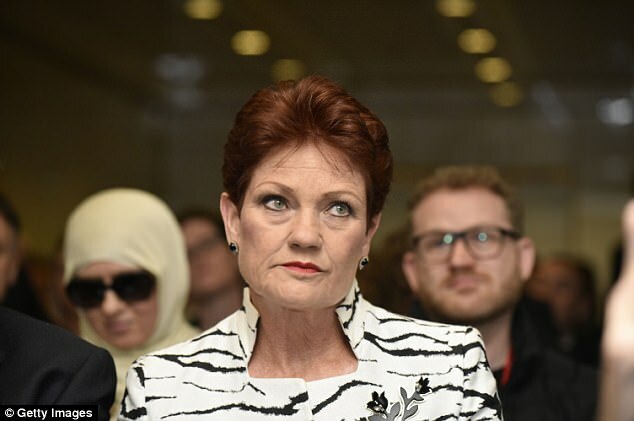 One Nation’s Senate team was in full attendance, with Ms Hanson sitting on the entertainer’s far right. 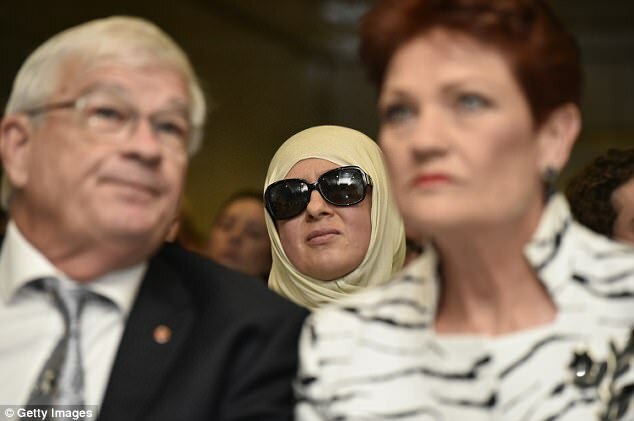 The One Nation leader’s chief adviser James Ashby was also in the front row, along with senators Brian Burston, Peter Georgiou and their former parliamentary colleague Malcolm Roberts, who was forced out of the Senate for being a dual British citizen. 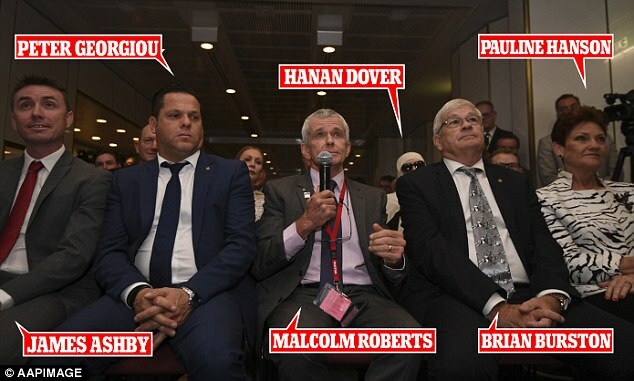 Prominent western Sydney-based Muslim psychologist Hanan Dover, who regularly uses Facebook to accuse conservative politicians of Islamophobia, was seated in the second row next to left-wing former ABC comedian John Safran. Trump said its “the dumbest deal ever”. So its not going to happen. Australian governments were financing Islamic terrorists via AusAID. Will heads roll in Canberra, or only in Islamistan? The Taliban Tarts did Melbourne. 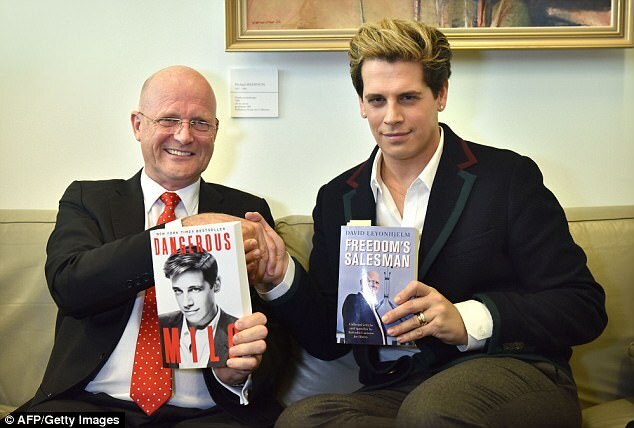 Mr Roberts, who ran unsuccessfully at last month’s Queensland elections, praised Yiannopoulos for being outspoken before asking about Islam. ‘I really appreciate the way you speak up and speak your mind,’ he said. ‘Perhaps you could discuss the similarities you may see between Mohammad’s Quran, which is the basis for the Islamic ideology, and Hitler’s Mein Kampf, which is the basis of Nazism. Yiannopoulos, who has Jewish ancestry, answered by pointing out ‘there was communion between a lot of Muslim countries and the Nazi regime’. ‘Largely centred on their mutual hatred of Jews, absolutely,’ he said. ‘Certainly their authoritarian instinct, the desire to legislate how other people should live is intrinsic to Islam. The word means submission to the will of Allah. Safran asked Yiannopoulos, who is a married U.S.-based homosexual, why it was ridiculous for anyone to wish to have a gay son. ‘I don’t like it when people in media, either to be funny or to communicate their own left-wing virtue, say that they were prefer to have gay children,’ Yiannopoulos answered. ‘Let me tell you, irrespective of homophobia, it’s not a life you would choose for anybody. ‘That’s not because I’m self-loathing nor have internalised hatred about my sexuality, but everybody who is gay must come to terms, at some point, with the fact they can’t create a child with the person they love in the ordinary way. Yiannopoulos delivered his 45-minute session a day after the Greens successful moved a Senate motion denouncing him for being offensive. One Nation defector Fraser Anning was also in the room, along with renegade Nationals MP George Christensen and his coalition colleagues Tim Wilson, Andrew Laming, Andrew Hastie, Craig Kelly, Ian Macdonald and David Gillespie.